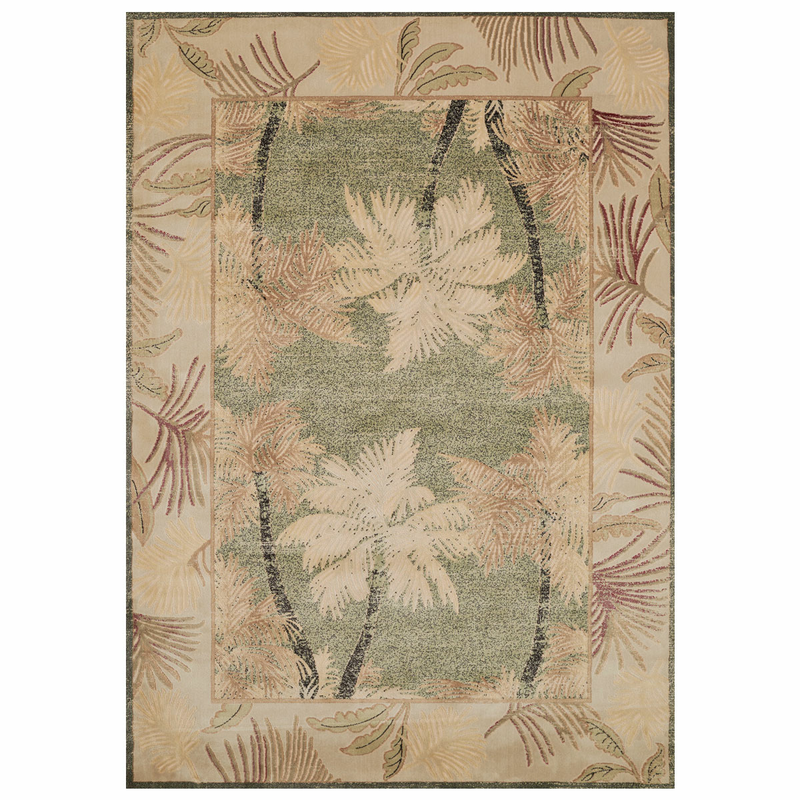 Give your family room a tropical update with the Faded Palms Rug - 10 x 13. 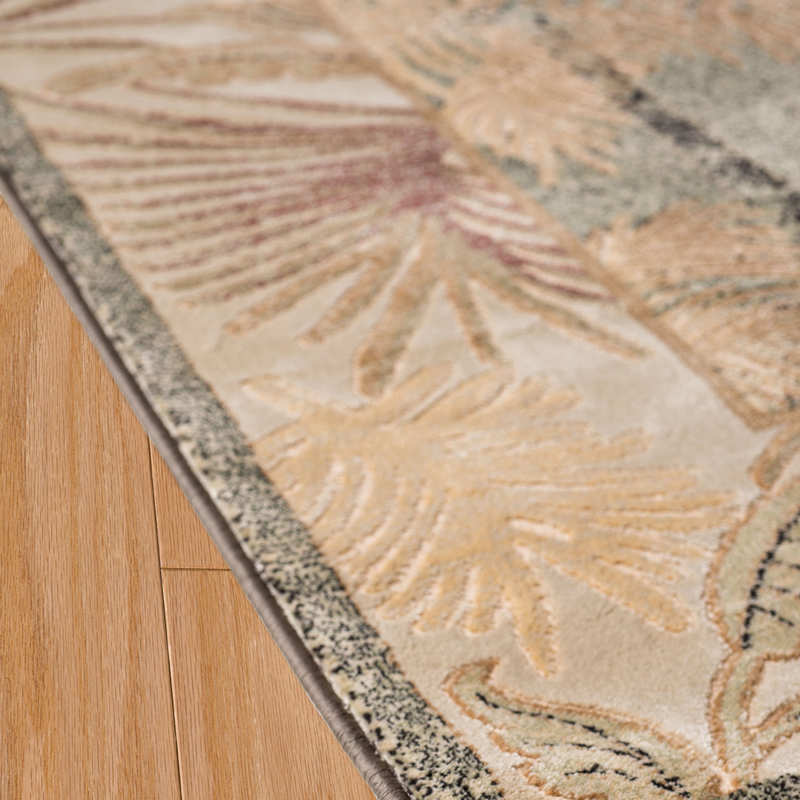 Crafted with an all-over faded palm tree design and a frond border. This nautical area rug makes a beautiful accent.